Allan Young, Co-Founder and vice-chairman of Pavocoin AG recently toured Malaysia from, July 16 to 26, as part of the company’s global roadshow. Pavo is a data-driven SaaS management platform that allows growers of any type of crop to monitor and analyze growing conditions so they can optimize their techniques for various cultivation circumstances. Young headed up meetings with various funds in Kuala Lumpur to introduce the company’s innovative AgTech solution that brings together AI, IoT, and Blockchain technologies, which could help make a positive impact on the Malaysian agricultural economy. Compared to many countries, Malaysian agriculture makes up a smaller portion of the nation’s overall GDP. According to the Department of Statistics, Malaysia, in 2016, agriculture accounted for about 8.1% of the nation’s Gross Domestic Product. However, the country is working to improve its agricultural output by implementing what they call the 11th Malaysia Plan (11MP), which focuses on green, sustainable growth and mechanization with a keen eye to enhancing technological and scientific advancements. One of the country’s main aims is to adopt the latest in AgTech solutions, and Pavo could be a key player in helping Malaysia meet its goals. Although the overall sector has shrunk as the country has moved toward a manufacturing and services-driven economy, Malaysia is still the world’s largest natural rubber producer and the second largest producer of palm oil after Indonesia. Within the sector, palm oil production is by far the largest contributor to the nation’s overall agricultural GDP at almost 47%, and it’s an important product globally, used not only as a cooking oil, but also as a chief ingredient in a wide variety of products ranging from pharmaceuticals, biofuels, and biomass to cosmetics and soaps. El Niño weather events of 2015 and 2016, however, had a great impact on crop yields and world prices, which also affected palm oil processing in the country itself, as processors were forced to import oil from Indonesia. Extreme weather events are something that Pavocoin’s development team understands intimately. After all, they got their start by working with Turkish hazelnut farmers after severe drought in Turkey four years ago had a devastating impact on hazelnut crops. Pavocoin worked with local farmers in Turkey to develop a method that predicts total hazelnut yield by modeling the individual trees’ responses to their local environmental conditions. The company has created a system that analyzes every step of the growing process, from seed to harvest to delivery, which could allow farmers of any scale to track and adjust for local growing conditions right down to each individual tree. Their app enables farmers to fine-tune their production environments from anywhere in the world via the platform’s user-friendly web- and mobile-based interface. This last point is an important one for palm growers, since one of their main markets is the EU, which established very strict environmental standards on palm producers through The Round Table on Sustainable Palm Oil (RSPO). In 2016, the RSPO suspended a large palm oil producer, which caused major multinational companies like Unilever, Kellogg’s and Mars to stop doing business with the company. Deforestation continues to be a problem for the industry, with many EU members still expressing concern over the issue in Malaysia and Indonesia. Furthermore, consumers around the world are aware of the problem, and there have been grassroots efforts aimed at getting people to avoid products that contain palm oil as an ingredient. Improving crop yield and making growing conditions more efficient could help mitigate the devastation of tropical forests due to deforestation, while still meeting industrial demand. Pavo’s blockchain capability is also useful here. Environmentally minded product buyers could eventually be able to track exactly where any agricultural product comes from, how it was grown, what pesticides were used, if any, and even how it was transported to their table. This could play a role in the future for the end consumers who want to avoid palm oil products that don’t meet or exceed RSPO standards and may help palm growers compete with rival oil-producing crops like soya and sunflower. Pavocoin is presently conducting the second phase of its private presale, and offers various bonuses for bulk token purchases with a minimum purchase of 500 tokens. The presale ends on September 12, 2018, and their main sale will kick off on September 13 with an 18% bonus and no minimum token purchase requirement. The sale will continue until October 22, 2018, with decreasing bonuses offered. Each PAVO costs 1 USD. 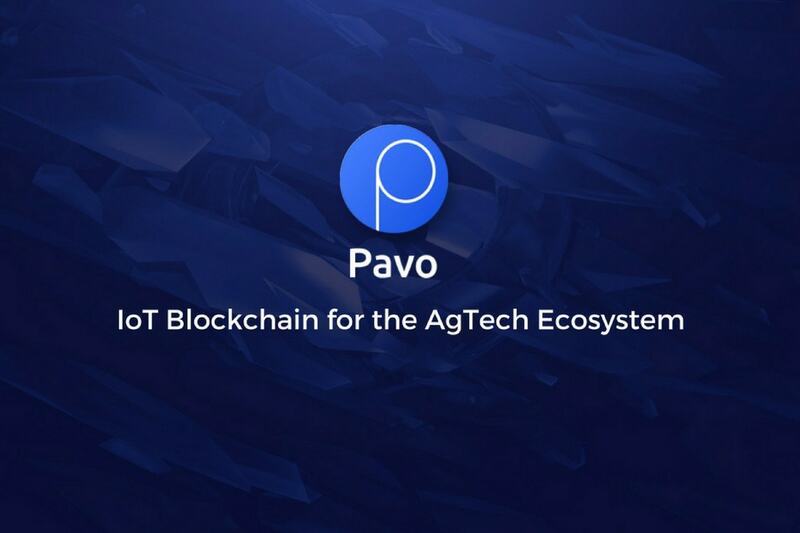 You can learn more about Pavocoin by visiting their website at pavocoin.com.